Philippa Gregory’s novel does not exactly break new ground and it doesn’t answer any questions. However, she takes an unusual approach to the tale of Mary’s life and death. In The Other Queen, she gives the job of telling the story to three narrators. 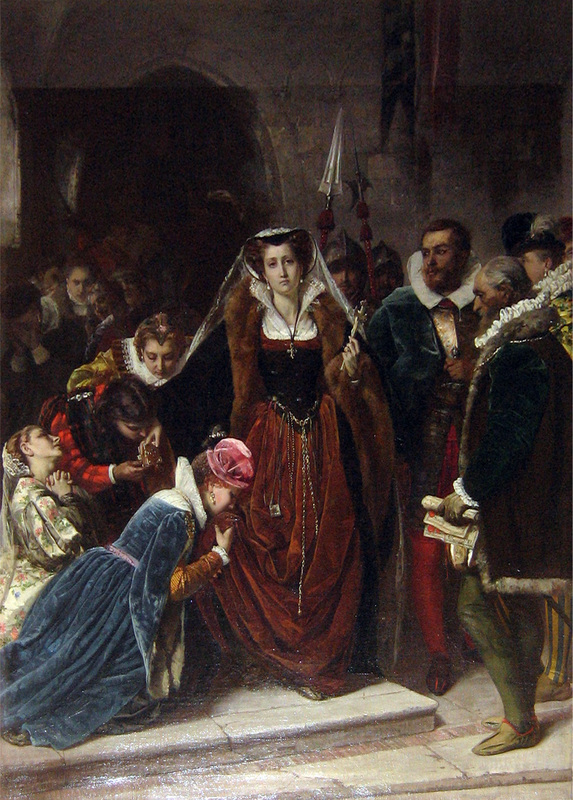 There is Mary herself, twenty-six years old at the start, newly arrived at Tutbury Castle, one of the homes of the Earl and Countess of Shrewsbury, where she is to be a ‘guest’ on the orders of Queen Elizabeth or – depending again on which side you take – on those of the latter’s upstart chancellor William Cecil, First Lord Burghley. 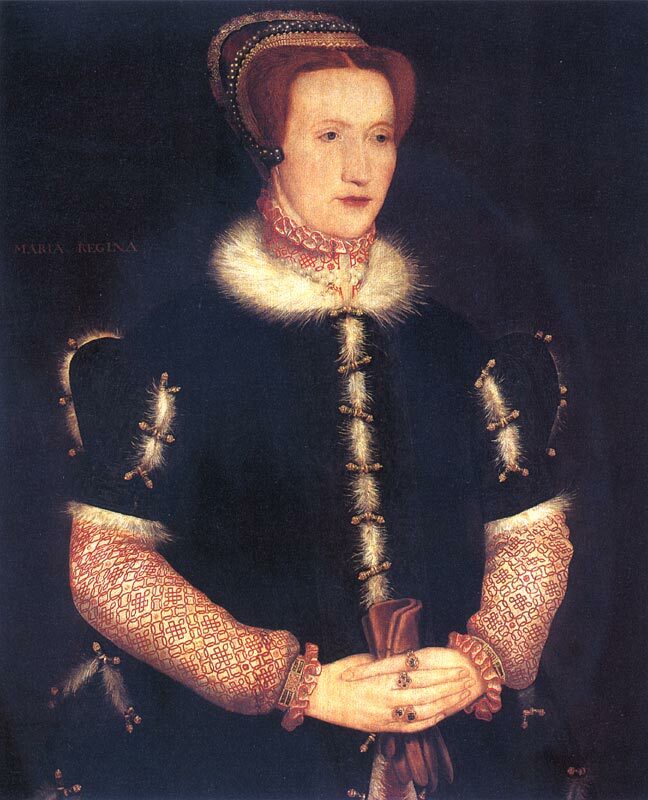 Next, there is the Countess, the formidable Bess of Hardwick, who survived four marriages and emerged from them as the richest woman in England, and who also happens to be an ancestor of the present Queen Elizabeth of Great Britain. Lastly, there is her husband, George Talbot, Earl of Shrewsbury, who was very likely in love with Mary. There are no real historical bombshells – no piece of hitherto undiscovered history – in The Other Queen. Some readers might be astonished to learn how close Mary’s supporters came to defeating and deposing Elizabeth, but that is all. And the history of the period, and of Mary’s life after she arrived in England is too well known for me to bother much with a plot summary. Some quotations from the POV of the three narrators will give a flavour of Philippa Gregory’s approach to characterisation. Living where I do, in the midst of the ‘shires and spires’ of rural England, The Other Queen was a historical novel I just had to read. I’m surrounded by the history of this part of the country. I know all about William Cecil and his plans to unite the islands of Britain under a Protestant ruler; I’ve been to his tomb in Stamford and from time to time I visit his magnificent home, the nearby Burghley House. And of course, I know a great deal about Mary too, and a bit about George. I live not far from the village of Fotheringhay where she died, and eat regularly at its splendid hostelry. Another of my favourite haunts is the nearby Talbot Hotel (http://www.thetalbot-oundle.com/) , named after the Earl, parts of which are believed to have come from Fotheringhay Castle. Philippa Gregory paints clever portraits of her three protagonists, with their strengths and weaknesses. If anything, all three come out as victims – victims of political ambition, conspiracy and of the march of history itself. There are no heroes, no real villains. Men and women alike did only what they had to do to survive in a changing world. The author has built carefully around the historical records. She has made up her own mind where accounts are disputed and by her own admission ‘when there is a gap … I invent, as a novelist should, a fiction which accounts for the known facts.’ She places Bess’s serious suspicions about George’s relationship with Mary earlier than I would have done. These lie at the heart of the novel in the early 1570s. Many histories suggest that, though it’s probably true that George Talbot fell in love with Mary, there was never any physical relationship, and the two women only ‘fell out’ later in their sixteen year acquaintance, when rumours of an affair began to circulate. The Other Queen, like The Taming of the Queen – which I reviewed recently – and The Other Boleyn Girl, is a great historical. My only negative thought is that the short chapters, while they help the pacing, sometimes confuse the reader as to which narrator is speaking.There isn’t enough time to get into the new character before the POV changes. See https://bookheathen.wordpress.com/2014/06/08/the-road-to-fotheringhay/ for some of my earlier thoughts about Queen Mary. Pretty much like this era, mmm? Thanks for reading. Good point! Although double crossing seemed to be an art especially as not all could read and the message system was limited, but tbh it probably has a romanticism to it, now you mention it I have no doubt todays pushers are even more Machiavellian. Thanks, Anne! If I sat there all day, I’d scoff chocolate cake and that would be very bad for me. How different our world would be, Lion, if mobile phones had been invented in the 16th century! I’ve been meaning to read her books ‘White Queen’ etc. for a while now but I suppose they are more interesting when you are surrounded by the history.